The National Disaster Council has declared that we are reaching the end of the Oil Spill Crisis. 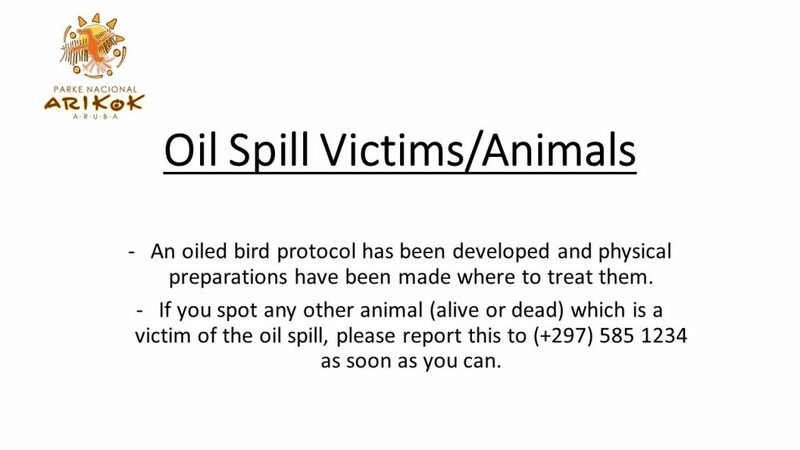 We still have work to do on the cleanup of the oil that washed up on the coastline of Aruba. Natural Pool and Park Beaches are officially open again. 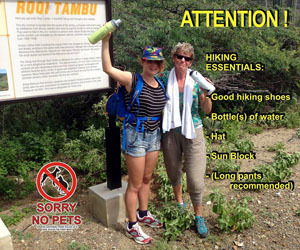 We do ask that all visitors be well aware of their surroundings and keep an eye out for small tar that may still be on the sand. 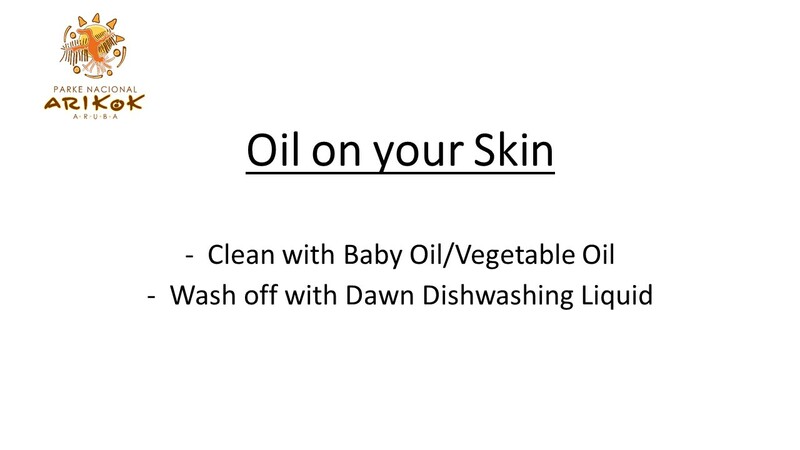 Please review below instructions if you come in contact with Oil and how to remove from your skin. Arikok National Park will continue with its efforts to clean areas that are still affected by the oil spill along with volunteers. In case you are interested please give us a call at (+297) 585 1234 and provide your name and when you are available. For everyone who gave their name already we are going through the list as we go so you can expect a call from our team. 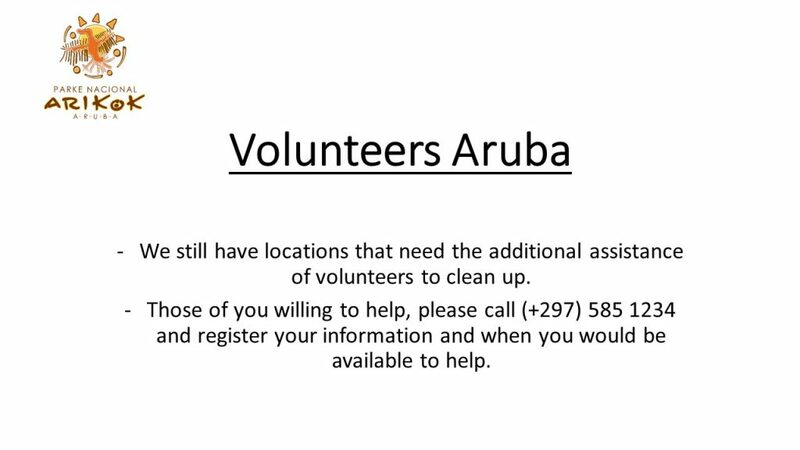 and please pass on this information to Aruba’s National Disaster Agency (Bureau Rampenbestrijding) at (+297) 588 0100. All questions that you may have or need additional information please do not hesitate to contact us at (+297) 585 1234 or send us an email at info@arubanationalpark.org. 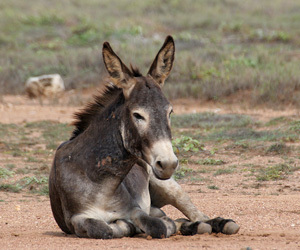 If you are connected to Facebook please like our page and you can feel free to send us a PM and our park team will get back to you at our earliest.